This is a rectangular Auto Glass porcelain sign. 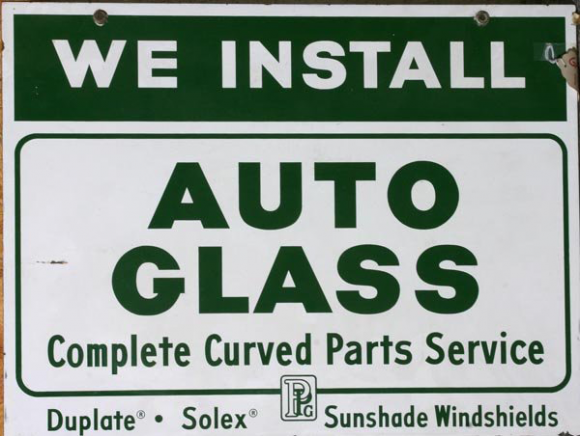 This particular Auto Glass sign is green and white. It reads, “We Install Auto Glass, Complete Curved Parts Service, Duplate, Solex, Sunshade Windshields” and has no other design.